Attorneys Joe Price and John Finnerty of Dougherty Leventhal Price LLP—DLP; PENNSYLVANIA CATASTROPHIC INJURY LAWYERS—have been hired to investigate a fracking pumper explosion at a natural gas drill rig site in Tioga County. The explosion resulted in serious injuries to DLP’s client. The investigation into what caused the explosion is currently ongoing. The law team at Dougherty, Leventhal and Price, LLP has filed a Federal Lawsuit this week against a drilling company and its’ driver who caused a violent accident causing multiple injuries and a fatality. A Mack Truck loaded with approximately 3,000 gallons of mud was overweight and driving at speeds greater than posted. As a result, it failed to stop at a stop sign. The driver turned into an oncoming lane and violently impacted a Subaru legacy carrying two passengers seriously injuring one and killing the other. With the moratorium on natural gas drilling in New York apparently about to end, the debate over gas drilling and hydraulic fracturing is in full swing. Reports today in the New York Times indicate that folks in Cooperstown, New York are facing off over permitting gas drilling rigs in the community. The New York issues mirror those still ongoing in Pennsylvania. 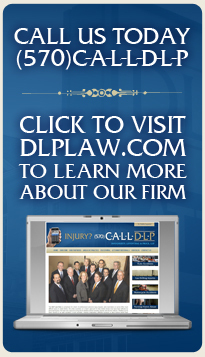 The thirteen (13) lawyers at DLP: PENNSYLVANIA TRUCK ACCIDENT LAWYERS AND MARCELLUS SHALE GAS DRILLING RIG INJURY/ACCIDENT LAWYERS, continue to follow this and other Marcellus shale gas drilling issues in Northeastern and Central Pennsylvania. Bryan Swistock, Penn State Extension Water Resources will discuss the research just completed on water well quality near Marcellus gas drilling sites. The live webinar will take place from noon to 1 p.m. on Tuesday, Nov. 1. A recorded version will be available for those who cannot log in for the live offering. “There are about 1 million private water wells across Pennsylvania, and the possible effect of Marcellus drilling on water quality in these rural drinking water supplies has been a concern of some homeowners,” said study leader Bryan Swistock, senior extension associate in Penn State’s College of Agricultural Sciences. The study was conducted from February 2010 to July 2011 by a team of researchers and county-based extension educators in the college. The research was funded by the Center for Rural Pennsylvania, which is an agency of the state Legislature, and the Pennsylvania Water Resources Research Center at Penn State. “This is the first project to provide an unbiased and large-scale study of water quality in private water wells used to supply drinking water to rural homes and farms both before and after the drilling of Marcellus gas wells nearby,” said Swistock. The study included an intensive phase focusing on 48 water wells within about 2,500 feet of a Marcellus well site and a broader phase that included 185 water wells within about a mile of a Marcellus well. Water wells were tested for potential pollutants associated with hydraulic fracturing or site disturbance, and a subset included testing for dissolved methane. Participants must pre-register for the webinars, but only one registration is required for the entire series. To register, visit http://extension.psu.edu/water/webinar-series/schedule online. Once participants have pre-registered, they may visit a separate link on this website to attend the live webinar on the day of the presentation. For more information, contact Bryan Swistock at (814) 863-0194, or by e-mail at brs@psu.edu. This season’s web-based seminars aimed at helping local businesses prosper from natural-gas drilling and development, presented by Penn State Extension’s Marcellus Educational Consortium, are going well. “Your Business and Marcellus Shale: Moving Forward 2011″ will broadcast its fourth session, ‘The Process: How Do You Sell Into Industry?’ on Monday, October 24th at 9:00 AM to help local businesses understand and take advantage of the opportunity arising from development of Marcellus Shale. “Participants will expand their knowledge of the opportunities that exist in the market as well as how to make connections and plan for doing business in this growing industry,” said Jonathan Laughner, extension educator in Beaver County who is moderating the every two-weeks sessions. Each webinar will feature speakers who are experts in the field. The website for the webinars is https://meeting.psu.edu/marcellusbiz. A Friends of Penn State account is required for webinar access. Create one at https://fps.psu.edu. For more information, contact Carol Loveland, Extension energy development and special projects coordinator in Lycoming County, at (570) 433-3040 or by e-mail at cal24@psu.edu. The ability of energy developers to drill multiple natural gas wells from a single location (or “pad”) has been touted as a major technological breakthrough driving natural gas development in the Marcellus Shale. The utilization of so-called “multi-well pads” also has large environmental and socio-economic implications, as the landscape disruption of as many as 12 or more natural gas wells and associated pipeline infrastructure can be concentrated in a single location. Furthermore, the total amount of industrial activity can be compressed as these wells can be drilled in rapid-succession. A 2010 Nature Conservancy report by Nels Johnson estimated that – if current development trends continue through 2030 –the disruption of 10,000 development locations in Pennsylvania critical forest habitat could be eliminated by drilling an average of 10 wells-per-pad compared to an average of 4 wells-per-pad. The ability of energy developers to drill large numbers of wells on a single pad requires that they have large contiguous lease holdings, a capital outlay that will support the expense of a prolonged drilling and completion timeline, and, the ability to overcome on-the-ground logistical challenges, according to a 2011 report led by Robert Kuntz. If confronted with enough of these constraints, energy companies may instead find it easier to develop an array of single or small-number multi-well pads. Market pressures can also incentivize the development of singular wells in order to quickly secure long-term rights to the mineral acreage (an industry practice termed “hold by production”). Conversely, factors like difficult terrain or leases that do not allow surface occupancy can discourage the development of single well pads and instead encourage the development of multi-well locations. Has the number of wells per pad changed? Despite the development of over 3,000 Marcellus Shale wells in the Commonwealth of Pennsylvania since 2006, this is the first analysis of the distribution of single-well vs. multi-well pads in Pennsylvania. By the end of 2007, during the early exploration of the Marcellus Shale, each of the 18 wells drilled in Pennsylvania was developed on its own well pad. In 2008, 18% of the 165 wells drilled were developed on new multi-well pads or previously constructed well pads. In 2009, 56% of the 703 wells were drilled on multi-well pads. By 2010, multi-well development comprised 77% of the 1,373 Marcellus wells drilled. As of August 10, 2011, 83% of the Marcellus wells drilled were located on a multi-well pad. How Many Wells Per Pad? While multi-well pads have increased over the past five years, the overall ratio of wells-per-pad remains low. Since 2006, over 1,553 Marcellus well pads have been developed to support 3,279 Marcellus wells in Pennsylvania indicating a well-to-pad average of 2.11. The data show that this ratio is increasing: in 2009 the average was 1.53 wells per pad, and in 2010 the average was 2.15. When well pad development in Pennsylvania State Forest and Allegheny National Forest is compared to privately held lands, roughly 96 well pads and 319 wells have been developed on state or national forest leases, a ratio of 3.32 wells per pad, compared to 1,457 well pads and 2,960 wells developed outside the state and national forest lands, or a ratio of 2.03. It is unknown from this preliminary analysis whether the discrepancy is due to regulatory incentives, pipeline availability, lease construction, or differences in the terrain. The Marcellus Shale development picture reveals a strong trend toward multi-well pad drilling with just over 83% of all wells drilled in 2011 appearing on a multi-well pad. Also, about 90% of all drilling appears to be occurring outside state and national forest leases. However, the trend toward multi-well pads is tempered by the reality that the number of wells per well pad is still hovering between two and three state-wide. While it is technically feasible to drill 12 wells or more per pad, thus far the vast majority of well pads contain 1, 2, or 3 wells. A common perception in Pennsylvania is that a single well may be initially drilled to hold a drilling block by production and as drilling matures a rig may return to the pad to drill additional wells. However, after four years of significant development, once a drilling rig moves on to another location, there appears to be a small probability that it will return to drill additional wells on the same pad in the near future. As of December 31, 2010, only 13% of single well pads have seen a drilling rig brought back to drill additional wells. For example, in 2009 the average number of wells drilled on pads developed that year was 1.53, and by mid 2011 the average on those same pads had increased to 1.70. Thus far, the majority of multi-wells pads that exist in Pennsylvania were initially developed that way, and most have contained only a small number of wells. Energy companies indicate that they are still in the early stages of development of one of the largest gas fields in the world – covering as much as 95,000 square miles – so it is possible they will eventually shift their strategy toward drilling additional wells on existing pads. In fact, further analysis suggests that in most cases operators are not drilling single wells instead of multi-well pads, as only about 6% of pads with 1, 2, or 3 wells were drilled within 1500 of feet of another well pad. The lack of nearby wells may indicate the early stages of a longer term infill strategy. The practice of drilling multiple wells on a single location holds great benefit for reducing ecological and other impacts from development of the Marcellus Shale, but the evidence of this practice being performed thus far in Pennsylvania remains mixed. Current evidence of infill on previously constructed well pads and the overall number of wells per pad remains low. However, Marcellus development is still in its early stages in Pennsylvania and the number of multi-well pads is increasing. Jim Ladlee serves as Director for Penn State Extension in Clinton County and Associate Director for the Penn State Marcellus Center for Outreach and Research, and Director of Special Initiatives for the Marcellus Shale Education and Training Center. Jeffrey Jacquet is a PhD Candidate at Cornell University and author of numerous Marcellus Shale Policy and Workforce Briefs.